I am hoping that you are enjoying the Vancouver Olympics. I know that we have 8 big screen television screens showing all of the channels in high definition at our office. What does that mean? We are not missing a thing! Perhaps this is also why we are slightly late with this weeks internet marketing news update. You will quickly see however, that the wait was worth it. There is some fantastic information in this weeks edition. This is perhaps one of the most insightful topics I have pointed to in our weekly update. 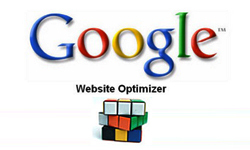 If you read this every week you will see that we place great importance on the use of Google Website Optimizer to improve conversion on your site. 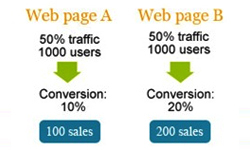 These 25 website optimizer tips are invaluable in your own education process. I highly recommend you check this out. Yahoo! has suddenly become much more involved on their blog. In this post, Yahoo! announced that the partnership has been officially approved by the US Department of Justice and the European Commission. Yahoo! also explained they will continue to control the creative on the Yahoo! page but will use the Microsoft platform for determining results and displaying paid ads. They also explore what the future of this relationship will bring. Yahoo! continues the buzz by announcing the a relationship in real time search with Twitter. This content sharing relationship is much bigger than the partnerships announced with Google and Microsoft because it will display Twitter information across much of the Yahoo! platform. Still wondering how important your ‘tweets’ can be? If you have been paying attention to the online world of late you may have noticed that Google has been paying plenty of attention to mobile advertising. This article explains how to set your Google Adwords account to advertise on mobile phones and also how to measure events through Google Analytics. Ask us if you want to get more involved! If you need help building your Facebook fan page we can help! For the ‘do-it-yourselfer’ here is a nice little article we found which gives some good advice to help you build your Facebook fan page. I suppose if Google still had a test to overcome it would be getting officially approved by the US Federal Government as an approved application. If you are worried about the state of your data and privacy you would have to think that approval by the US government means it is pretty safe. Here are a bunch of other articles that we highly recommend you check out released in the past week or so. It's great to go through the articles on Google Website Optimizer Tips and creating custom Facebook Landing pages, found very helpful. Good News as GA is approved by US Federal Government, also expects a consensus for Google Street View from around the world as lot of criticism is raised over privacy issues. Very true DJ, no one can miss the winter Olympics that is happening. 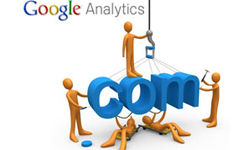 I think analytics needn't require further approvals from any sides as it is already approved by millions of webmasters across the globe as a real web tracking tool.